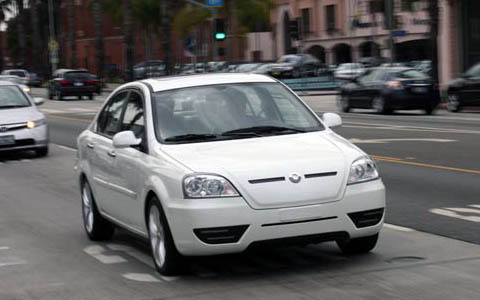 A JD Power & Associates study of electric vehicle ownership suggests sales are still hampered by their high cost and a disconnect between the car manufacturers and potential buyers on a return on investment in EVs, according to the Los Angeles Times (http://www.latimes.com/business/autos/la-fi-mo-autos-electric-vehicle-costs-20121108,0,4965785.story). Overall, sales of electric vehicles are an “almost immeasurable portion of auto sales,” the article notes. Nissan Leaf sales are down 16 percent this year, Tesla Motors has delivered “less than 300 vehicles,” Mitsubishi, which makes the i-MiEV mini-car, has sold less than 500; Honda has leased only 48 of its electric Fit and Coda is not commenting, according to the article. The crazy thing is the study suggests the potential savings from driving an electric car “could be significant.” The study shows that EV owners report an increase in their electricity bill of $18 a month to recharge their cars compared to $147 they typically pay for a month of gas. Californians will be the beneficiaries of the nation’s most comprehensive electric vehicle charging network. The Federal Energy Regulatory Commission (FERC) this week approved a $100 million, four-year proposal from NRG Energy (NYSE: ERG) that allows NRG’s subsidiary, eVgo, to build the network, which will also include fast chargers that give drivers 50 miles of range in 15 minutes. The network, called a “public-private partnership” by NRG, will be made up of at least 200 public charging stations stretching from the San Francisco Bay area, south to San Diego County. NRG will also guarantee that at least 20 percent of the stations are in low income areas. The project is expected to generate more than 1,500 jobs and a total economic benefit of $185 million. There’s good news from the labor markets (slowly but surely improving), consumer confidence (“at a five-year high”) and the housing market (“clear signs of a rebound”), according to the same NY Times story. Also in the NYT, a report from the Organization for Economic Cooperation and Development (a 34-country group including every major industrial nation) titled “Looking to 2060: Long-Term Global Growth Prospects:” more old people proportionately to the overall population mean reduced growth over that term, particularly in China. As China’s population ages “India and Indonesia will overtake China’s growth rate in less than a decade.” GDP in China will grow at a rate of 2.3 percent a year from 2030-2060 (little more than the 2 percent expected in the US) while Indonesia will grow by 3.3 percent and India by 4 percent. The announcement this week that China-based Suntech Power Holdings (NYSE: STP), which bills itself as “the world’s largest producer of solar panels,” is at risk of being delisted by the New York Stock Exchange, cannot be good news for the solar industry. The announcement came about a month after Suntech founder Zhengrong Shi surprised analysts by stepping down as CEO. He remains Chairman and Chief Strategy Officer. day. Per NYSE rules, Suntech has six months following the NYSE warning (which came Sept. 10) to get its average stock price back up over $1 over a 30-day period. 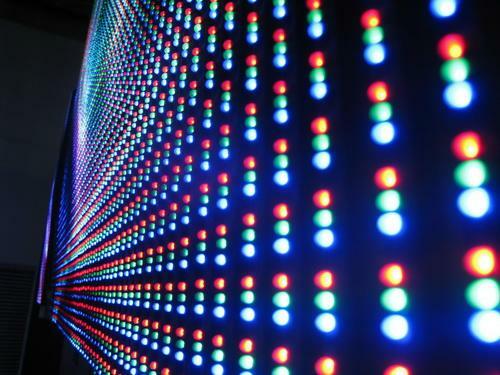 China-based JA Solar (Nasdaq: JASO), which bills itself as “China’s largest solar-cell maker,” is also being threatened with a delisting. JASO announced Sept. 24 that it is seeking to strengthen its balance sheet by buying back $89.2 million of its debt. It last closed above $1 on Aug. 28. JASO closed Sept. 25 at $0.85, no change for the day. Tempe, AZ-based First Solar (Nasdaq: FSLR, http://www.firstsolar.com/), which specializes in thin-film solar modules, has bounced back from its year-long slide. FSLR traded as high as $142 during the summer of 2011, but fell down to $13.66 when we last checked in May. FSLR closed Sept. 25 at $20.51, 49 cents on the day. 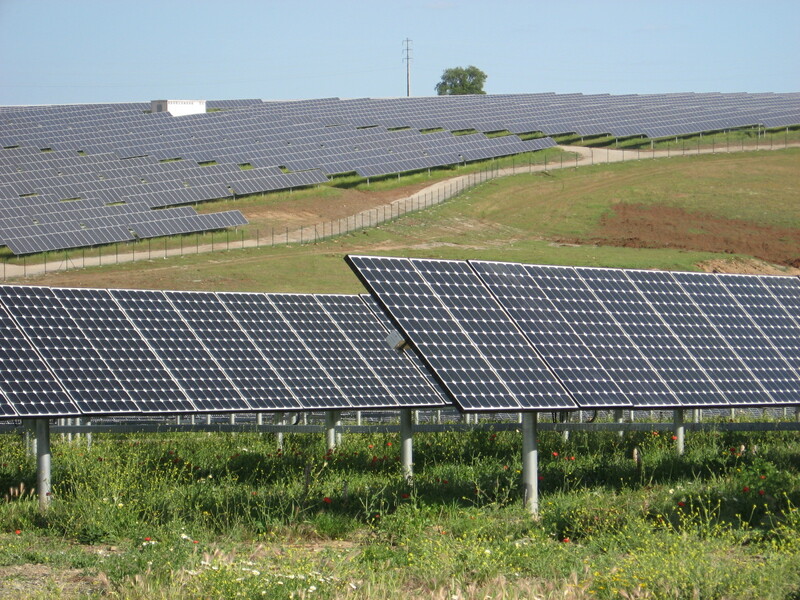 Ontario, Canada-based Canadian Solar (Nasdaq: CSIQ, http://www.canadian-solar.com/ ), which sells a variety of solar products, has seen its stock price stabilize since December. Back in summer 2011 CSIQ traded for more than $12 but by last May it had dropped to $2.70 with a market cap of $117 million. CSIQ closed Sept. 25 at $3.01, up 2 cents on the day. It’s market cap is now $130 million. San Jose, CA-based SunPower Corp. (Nasdaq: SPWR, http://www.sunpowercorp.com/) makes a wide variety of solar products and systems. SPWR stock in mid-May was trading for about $5. SPWR closed Sept. 25 at $4.60, down 14 cents on the day. Its market cap is now $547 million. China-based LDK Solar Co. (NYSE: LDK, http://www.ldksolar.com/) manufactures solar products and silicon materials. LDK, which was trading for nearly $5 in late December 2011, dropped down to $2.85 in mid-May with a market cap of $373 million. It closed Sept. 25 at $1.25, down 4 cents on the day. Its market cap is now $167 million. China-based Trina Solar Ltd. (NYSE: TSL, http://www.trinasolar.com/) designs, manufactures and sells photovoltaic modules worldwide. It has a chart similar to many of the other solar stocks, which reached highs in the summer of 2011. Since we have been watching it carefully, we have seen in close in August 2011 at $15.88, in December 2011 it had dropped to $7.39 and by mid-May 18 it was down to $5.70 with a market cap of $464 million. It closed Sept. 25 at $4.47, up 7 cents for the day. Its market cap is now $316 million. 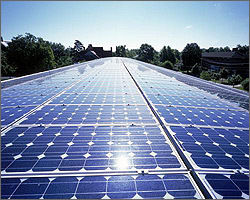 China-based Yingli Green Energy Holding Co. (NYSE: YGE, http://www.yinglisolar.com/) makes photovoltaic products including cells, modules and systems. YGE closed in mid-May 18 at $2.52. It closed Sept. 25 at $1.74, up 5 cents for the day. Its market cap is now $272 million. That Light at the End of the Recession: Who Is the Levi Strauss of the Recovery? There are articles this morning with significant news for the economy as a whole and for the investment community in particular. First of all, the job market improved more than expected, and is back on the curve it was on earlier this spring, with job creation in the private sector at 176,000 jobs, and new applications for unemployment well under the “magical” number of 400,000. Second, and possibly more important, the number of business bankruptcies has fallen and is on track to finish the year at its lowest level since prior to the beginning of the “Great Recession.” The comes chockablock on top of a truly boffo month of June for consumers, especially people buying cars. There are storm clouds — European and Chinese wobblies specifically, with interest rates dropping, which is likely to push the value of the US dollar up, making our goods more expensive overseas. Actually though, two of our biggest trading partners are virtually (but not officially) pegged to the US dollar (Mexico & Canada), and many other economies, such as Australia — resource rich and recessionless — are fairly stable with regard to the greenback. So the question is, if we are seeing all these lights at the end of the tunnel — what should we be doing as investors? We at SmallCapWorld have no answers, no recommendations, because we are not financial advisors, but we are finding some areas more interesting than others. Infrastructure continues to be a big agenda item, for instance. For those with a longer horizon and some patience, homebuilders are looking more interesting. And an intriguing article in the New York Times last weekend theorized that the electric vehicle market, in spite of the highly publicized obituaries of the lithium-ion battery companies, may not be dead in the water: http://www.nytimes.com/2012/07/01/automobiles/evs-are-merging-into-californias-traffic.html?_r=1&ref=automobiles. Many investors look at sectors like these when economic reports are positive, hoping to find bargains like four-leaf clovers. An article this morning in Motley Fool may be a case in point, for instance: http://beta.fool.com/jonathanyates13/2012/07/05/it-time-togo-sir-john-templeton-european-stocks/6140/?source=eogyholnk0000001. Heck, even Warren Buffett is out in the weeds looking for something special, buying up newspapers (talk about last century!). I’d like to suggest that there is a larger pond to splash about in, and it is not sector-specific: cross-border companies, especially those trading in the USA as ADRs (American Depositary Receipts). It seems as though ADRs tend to trade at a significant discount to the valuations given their peers on US markets. That is less true of largecap ADRs, a fast-growing group, by the way, but largely controlled in valuation by trading in their home exchanges. But it seems to be increasingly true across the board in smallcap ADRs. 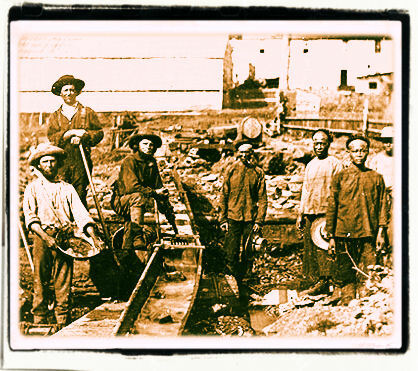 After all, what was the biggest success story of the California Gold Rush? I think it was Levi Strauss, which did nothing more than invent blue jeans for the miners. Facilitators tend to be ignored at times. Why would this be so? Well, maybe it is that they are farther away than US-headquartered companies; they use currencies that may be more volatile these days; they tend not to market themselves well to US investors; they seldom trade on Nasdaq or the NYSE. In fact, most of them trade in the regulatory twilight zone that used to be universally referred to as The Pink Sheets. However that may be, there are some very big, very prosperous, very well-known companies now trading on the “pinks” after having delisted from the big exchanges when Congress started tightening the regulatory screws a couple of financial bubbles and several Ponzi schemes ago. If there are bargains in the ADR world, they will be found eventually — at least that is the theory behind the “if you build it they will come” philosophy that used to be called “build a better mousetrap” or “stick to your knitting.” And for the Sherlock Holmes types among us, there are all kinds of companies worth looking on the upgraded “pink sheets” listings called OTCQX and OTCQB. With the not-so-slow decline of the Bulletin Board, these listings may look like the Wild West, but they are not the typical old “pennystocks” that many investors remember. And the JOBS Act is breathing new life into these small newcomers by suspending a lot of the draconian rules that govern fund-raising for larger companies: http://www.forbes.com/sites/alanhall/2012/06/28/hearings-on-jobs-prepare-the-u-s-for-expanded-crowdfunding-accelerating-startup-activity-creation-of-jobs/. Anyway, the point of this article is not to pick out stocks in the pink sheets, it is to look for stocks that could benefit from a gold rush pointed at the pink sheets. The first and most obvious is OTC Markets Group itself (OTCQX: OTCM), the proprietor of the Pinks, the OTCQX and OTCQB. OTCM, headquartered in New York City (http://www.otcmarkets.com/home) , is chugging along at an increasing revenue rate that looks to be in the range of at least $32 million to $35 million this year, and bringing about 15% (or $0.12 per share) to the bottom line in the most recently reported quarter. Just to put this in perspective, the market cap is around $73 million and OTCM is handling 10,000 over-the-counter securities. The volume of trading in OTCM is under 1,000 shares per day, which puts a bit of a technical barrier up for some people — but it is hard to imagine this part of the market NOT growing. Another you-never-heard-of-it company that stands to benefit is one of the Fortune 500: INTL FCStone Inc (Nasdaq: INTL). One of the busiest traders in the market, INTL is said to be the largest marketmaker of cross-border stocks in the US, and they are an increasingly prominent advisor to OTCQX and OTCQB companies under the “PAL” or Principal American Liaison designation. They are also one of the largest buyers of gold in the world. The shares are trading at $19.61, not far off their lows; the market cap is $375 million, and the average daily trading volume is 84,000 shares. This article in SeekingAlpha addresses the value that might be there: http://seekingalpha.com/article/667071-4-undervalued-small-cap-financials-with-analyst-love?source=yahoo. There are some very small dark horses, like San Francisco-based Merriman Holdings (OTC: MERR; http://www.merrimanco.com), which claims to be the largest PAL operation with regard to OTCQX companies. MERR is quite small and has a recent history of management change and financial distress, but their newswires are busy virtually every day with new OTCQX clients. And there are some much larger companies that stand to benefit, like the Australian whiz-kid, Computershare Ltd (OTCQX: CMSQY and ASX: CPU). Their market cap is well out of our ballpark at $4+ billion, but they have come out of the pack like Secretariat at the Derby, recently taking over the stock servicing portfolio at Bank of New York Mellon. We own none of the securities discussed in this article. Fuel cells made headlines in the major financial publications this week with the announcement that eBay is planning to build a new data center in Utah powered by, yes, alternative energy fuel cells. The new eBay data center will use approximately 6 million watts of power generated on-site by fuel cells made by Sunnyvale, CA-based, privately-held Bloom Energy, according to the New York Times (http://www.nytimes.com/2012/06/21/technology/ebay-plans-data-center-that-will-use-alternative-energy.html?scp=1&sq=james%20glanz%20ebay&st=Search). 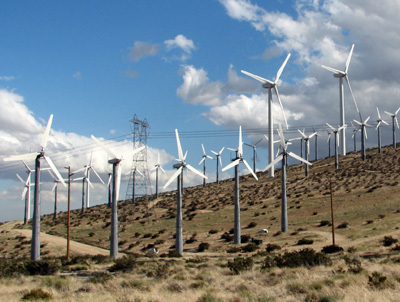 While the new center, which will also serve eBay’s payment service PayPal, will be hooked up to the electricity grid as a backup, the news is considered a major victory for alternative energy backers, fuel cell believers and the environmental industry in general which has long complained that Internet companies are too often relying on coal power to run their data centers. The Times’s story notes that fuel cell arrays are being used by major corporations including AT&T, Kaiser Permanente and Wal-Mart but nothing of this scale. Nearly all comparable data centers now draw the majority of the power from the grid. Bloom Energy’s version of fuel cells are “essentially large batteries whose charge is maintained by by the hydrocarbon energy contained in natural gas,” according to the Times. Since the price of natural gas has plummeted in recent years, fuel cells have become more economically competititve, the story notes. And since the charge in the Bloom Energy cells is maintained by chemical reactions, not combustion, important efficiencies are gained. Another advantage is the fuel cells generate energy on-site, meaning no energy is dissipated as it travels along transmission lines. All great news for environmentalists, Bloom Energy and, hopefully, eBay. But does it translate to hope for the mostly struggling small cap fuel cell companies? Based on investor reaction to the news, there seemed to be little benefit, at least initially. Lathan, NY-based Plug Power Inc. (Nasdaq: PLUG, http://www.plugpower.com/) manufactures fuel cell systems for industrial off-road markets and stationary power markets. The PLUG stock, which was as high as $9 in early 2011, has traded much lower in recent months. Its 52-week trading range is now $1.11-$2.71 and its market cap as of June 21 was about $44 million. Roth Capital cleantech analyst Phillip Shen initated coverage of PLUG a year ago with a buy and a price target of $4. PLUG stock closed June 21 at $1.12, down 2 cents for the day. Danbury, CT-based FuelCell Energy Inc. (Nasdaq: FCEL, http://www.fuelcellenergy.com/) makes a variety of fuel cells and its stock trades actively, more than 2 million shares a day on average. But apparently its second quarter numbers showing revenues down 15 percent from a year ago has soured investors. Its 52-week trading range is $0.80 to $1.95 and it closed June 21 at $1.06, up 2 cents on the day. British Columbia-based Ballard Power Systems (Nasdaq: BLDP, http://www.ballard.com/) manufactures and sells fuel cells and fuel cell materials for the automobile and other markets. News from Ballard included business partnerships with Brazilian and European bus companies. But the company this week announced a revision in 2012 revenue and adjusted EBITDA downward due in part to contract negotiaations with a Brazilian customer. The stock, which was a high as $2.42 in April 2011 has dropped in recent months. It closed June 21 at $1.12, down 5 cents. Average daily trading volume is now about 124,000 shares. Ontario, Canada-based Hydrogenics Corp. (Nasdaq: HYGS, http://www.hydrogenics.com) designs, develops and manufactures hydrogen generation and fuel cell products based on water electrolysis technology and proton exchange membrane technology. HYGS recently announced a significant order for a “power to gas” project for energy storage in Germany. The 52-week trading range of HYGS is $4.47-$7.10 but the stock trades lightly, about 7,500 shares a day. Its market cap is about $38 million. HYGS closed June 21 at $5.85, down 42 cents for the day.